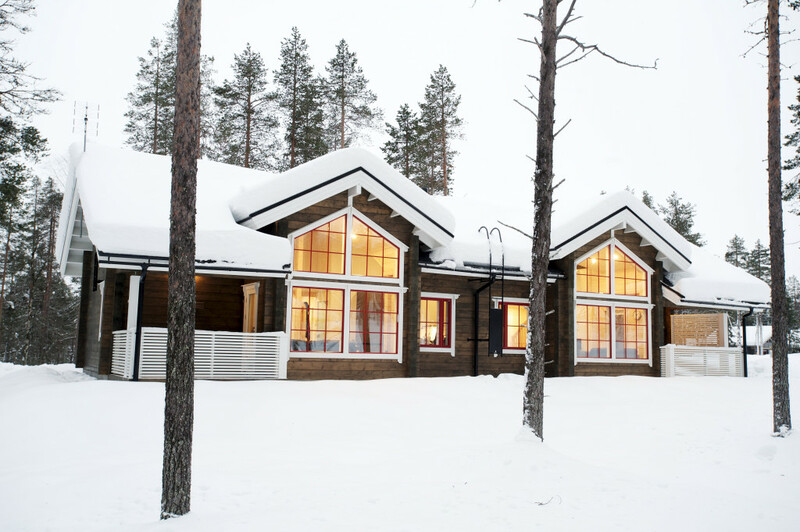 Ylläs Länsiraja is a modern semi-detached house built in 2015. 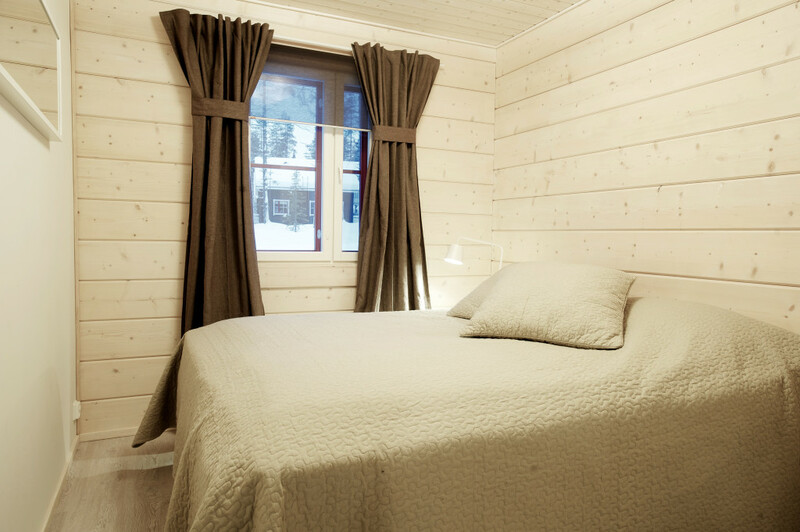 The child friendly house is located in Ylläsjärvi village by the Scenery road that connects Ylläsjärvi and Äkäslompolo villages. 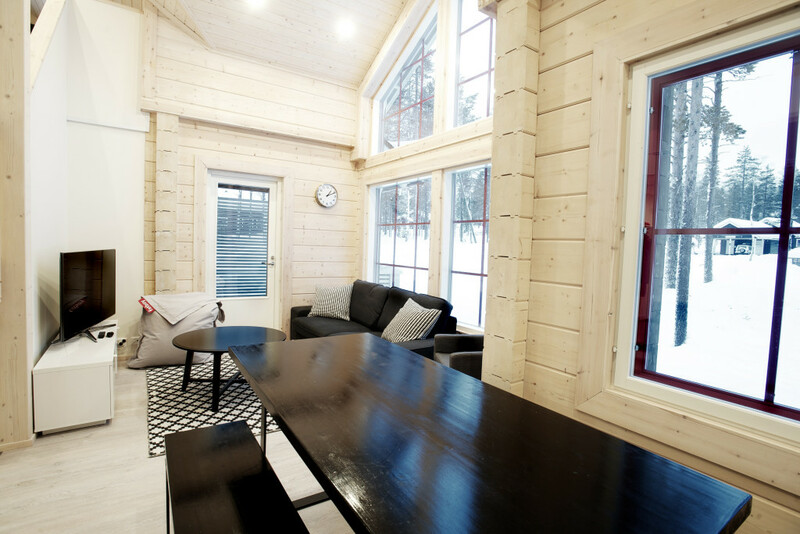 Large windows from the living room are facing the Ylläs mountain. 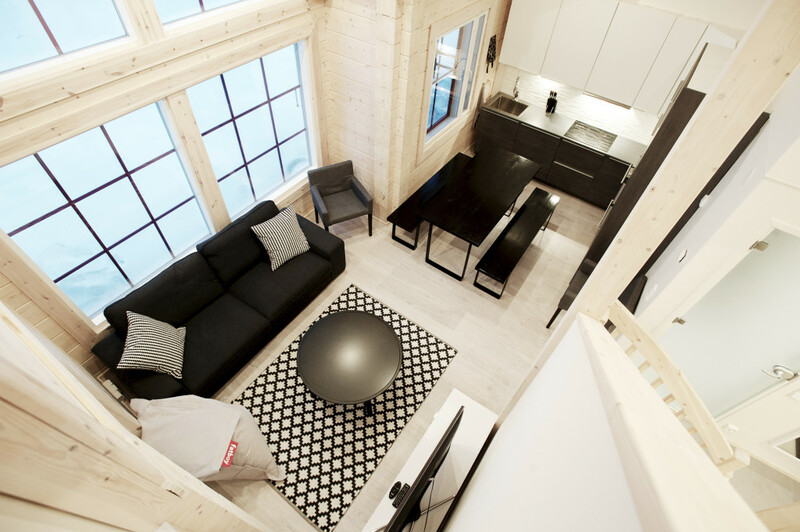 This is a ski-inn accommodation – the house can be reached by skis from the slopes. 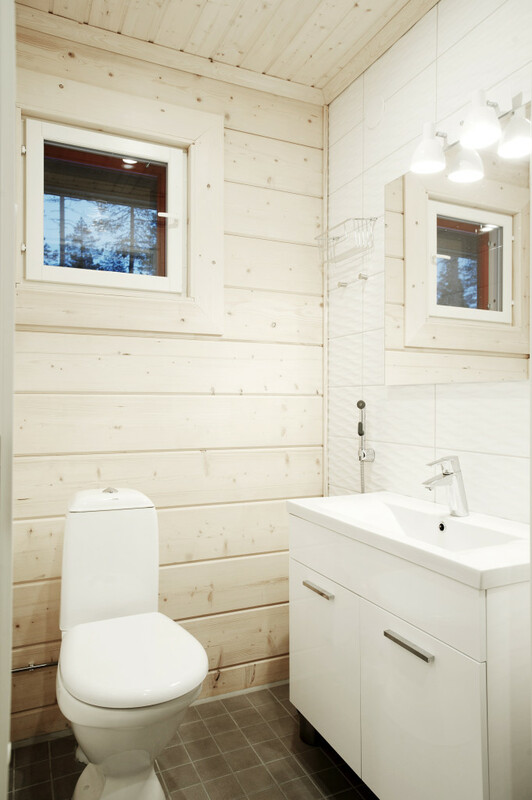 If you are a cross country skiing enthusiast, this is a perfect choice: tracks go by the house and there is a service room for the skis at your disposal. 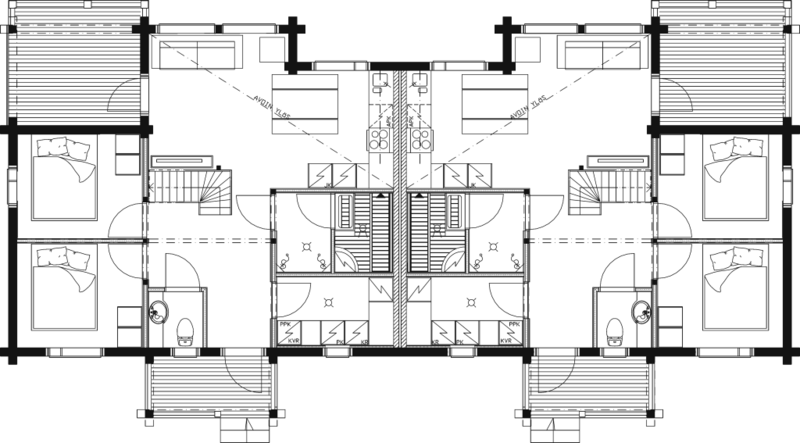 The semi-detached house uses ecological geothermal heating as a primary source for heating and warm water. 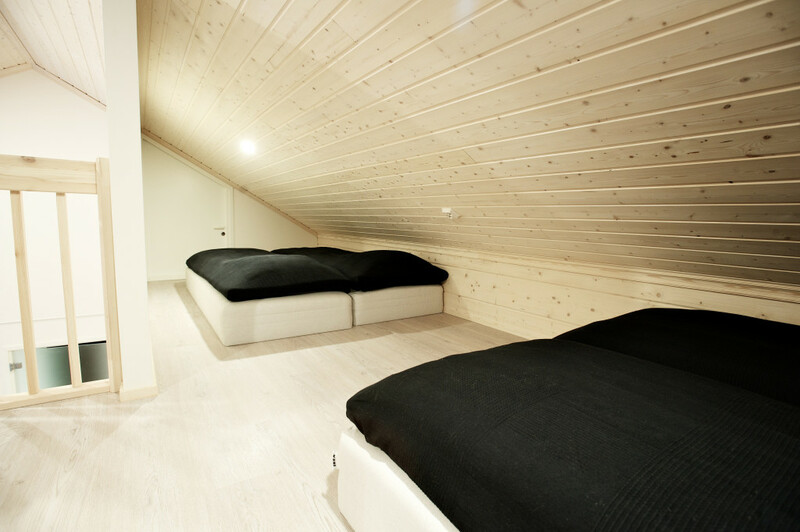 The heating is applied to the floors to provide more comfortable stay in the winter time. 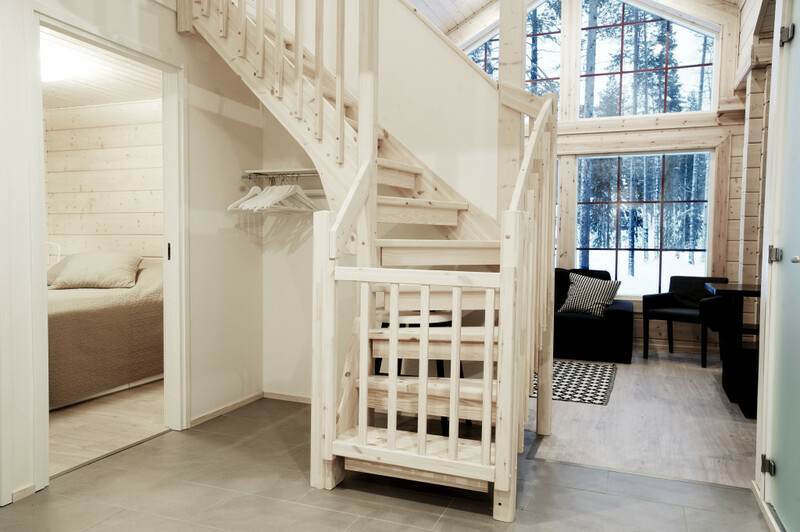 The gentle sloped stairs to the loft are equipped with baby gates at both ends. 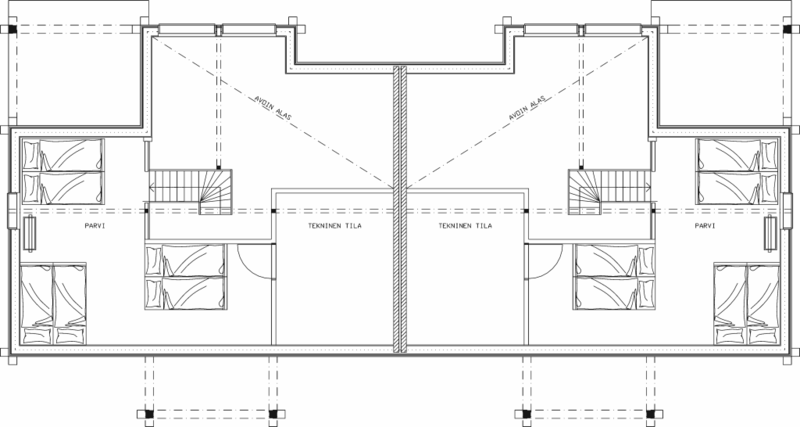 Car heating outlet, terrace, utility room, two bedrooms, loft with 6 beds, combined living room and kitchen, bathroom and sauna, toilet, storage room and ski service room with heating. Laplander’s hut. Free internet access available, children friendly accessories (highchair, travel bed, gates in stariway), pets allowed in apartment A, view to the mountain. 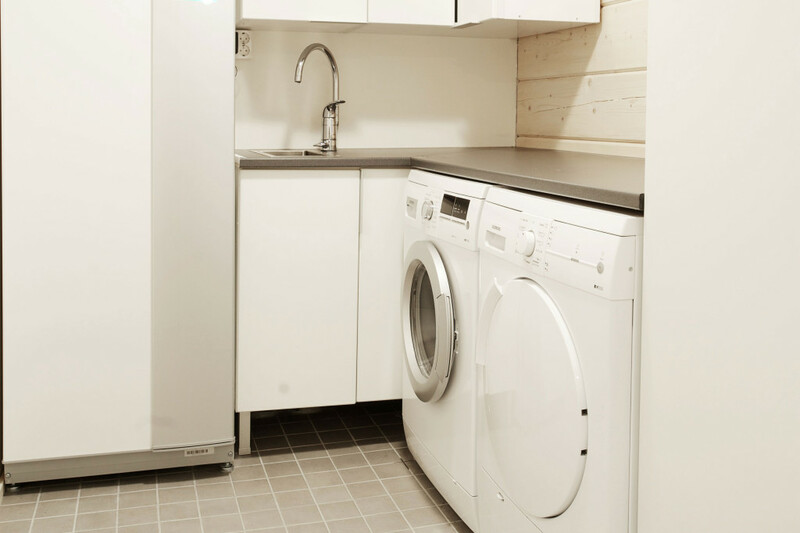 Dishwasher, tableware, CD/DVD player, hairdryier, vacuum cleaner, refridgerator, freezer, coffee maker, ventilation systerm, tumble dryer, highchair, toaster, oven, stove, microwave oven, double beds (2), iron, sofa, single beds (6), TVs (2), kettle, dryer cabinet, washing machine, gates in stairs, snow shoes (2), cross country skis (2), electric locks in main doors. Address: Pihlajakatu 7 FI-95980 Ylläsjärvi, Finland. 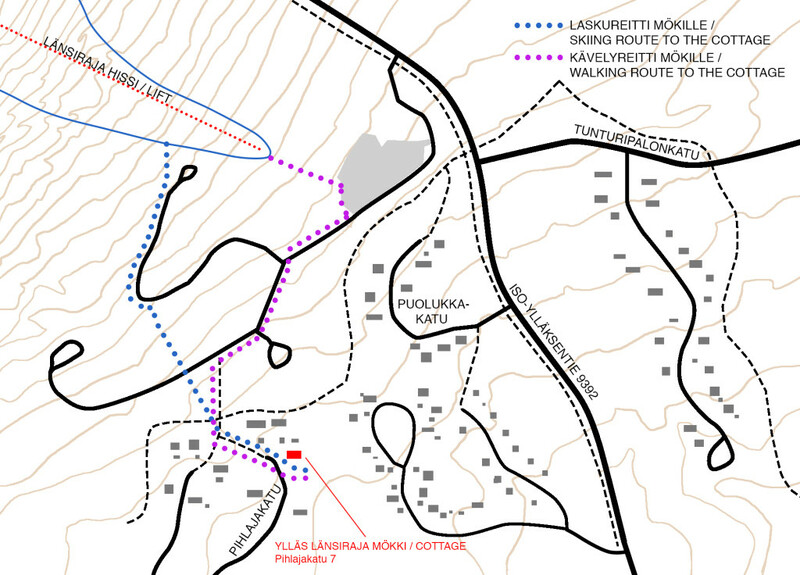 Closest ski lift is Länsiraja T-bar. Destinations: cross country ski tracks 0.1 km, slopes 0.8 km, ski-bus stop 0.4 km, Ylläsjärvi 3.8 km, Sport resort Ylläs center 1.3 km (restaurants, pubs, ski rental etc.). 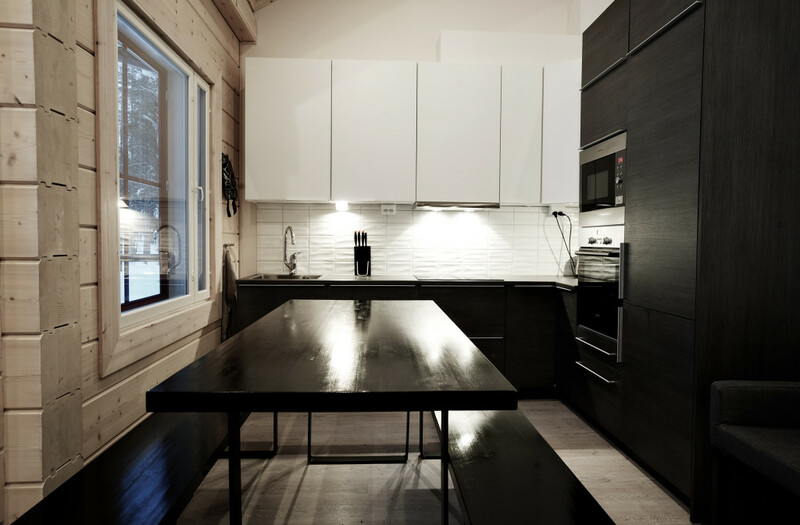 The house is located under the longest slope in Finland. Just ski down slope ‘Ylläs Länsiraja’ and turn right to a track in the woods. Continue roughly 100 meters forward and ski through the forest to the house. Hissilippuja mökillä on 2kpl/puoli, jotka sisältyvät hintaan talvikaudella. Voit kysyä erikseen toisen puolen lippuja, mikäli ne ovat vapaana. Liput löydät suksienhuoltotilasta. Koodin saat laskun mukana. Suksienhuoltotila on varusteltu suksienhuoltotelineellä joka sopii murtomaasuksille ja laskettelusuksille. Tila on varustettu koneellisella ilmanvaihdolla. Pihasta löytyy myös suuri yli 10hlö kota. You have direct access to Ylläs-Pallastunturi national park where you can go hiking and mountain biking in prepared trails. Fishing, canoeing and other outdoor activities are available. There is also a frisbee golf course (class AA2) at Sport resort Ylläs center. Nature’s colours during autumn is really an experience worth witnessing. Crisp September mornings are perfect time for enjoying the colorful fiesta in the mountains. Prepared hiking routes guide the hikers to take best out of the day. There are selection of routes with varying levels of difficulties to fit everyone. Mökin ulko-ovet toimivat vaihtuvalla nelinumeroisella koodilla. Saat ovikoodin ennen matkaasi laskun mukana, joten voit saapua kätevästi suoraan mökille. Kohde on asiakkaan käytettävissä tulopäivästä kello 16.00 lähtöpäivään kello 10.00 välisenä aikana. Näistä voidaan poiketa erikseen sovittaessa. Varausmaksu on 250€ ja loppulasku 6vko ennen loman alkua. Mikäli varaus peruutetaan 6vko ennen lomaa palautamme varausmaksun. Mikäli asiakas peruuttaa varauksensa myöhemmin kuin 30 päivää ennen oleskelun alkamista veloitetaan koko vuokra. Tupakointi on kielletty sisätiloissa. Säännön rikkomisesta veloitus 1200€. Lomakohteen loppusiivoukseen ei sisälly astioiden tiskaus ja niiden paikalleen laitto eikä roskien vienti. 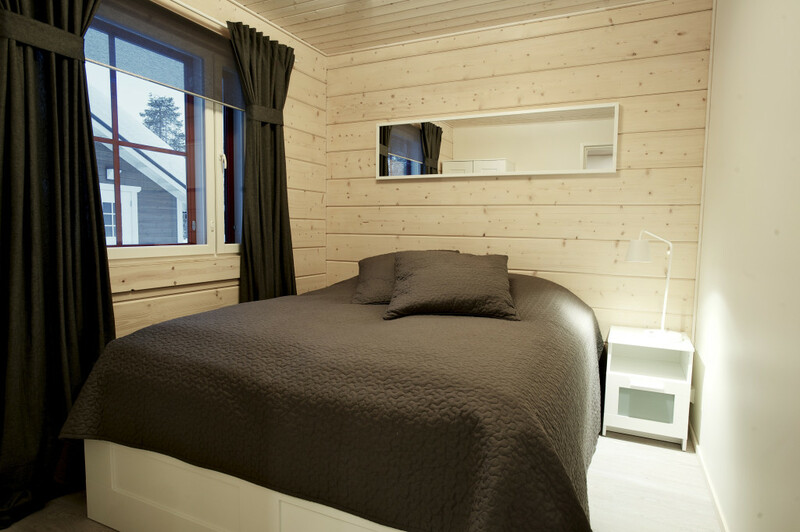 Modern and child frendly cottage is located close to Ylläs Scenic road in Ylläsjärvi. This is a ski-inn location. You can ski to the cottage.